The Agdia NPTII (neomycin phosphotransferase II) ELISA is intended for the detection or the absence of the NPTII marker gene protein expressed in various NPTII transformed crops. 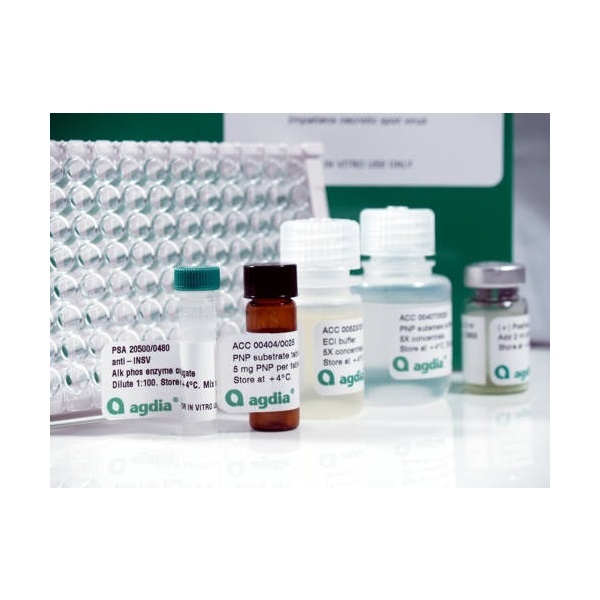 This kit is presented as a qualitative assay; however a certified reference standard (LST 73000) can be purchased for quantitative purposes. A quantitative user guide is available on our website or can be emailed to you upon request. NPTII transformed plants are resistant to the antibiotic Kanamycin and non-transformed plants are inhibited from growth, allowing for identification of transformed plants. However, indentifying plants which are transformed using plate culture techniques can be time consuming and the results are not always clear. 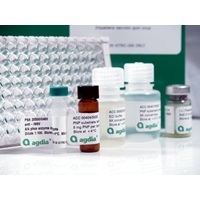 The Agdia NPTII ELISA is an excellent replacement for plate culturing as the results are clear, accurate and fast. Since the ELISA is offered in a standard 96-well format, it is also possible to determine genetic segregations as data from plate readers can be quickly analyzed by statistical software.